Intensified activities in coastal and marine waters require integrated planning and decision-making as well as enhanced efforts to achieve sustainability. 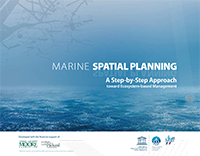 By fostering integrated management practices to protect and restore marine and coastal ecosystems, strengthen resilience and promote a healthy and productive ocean, international marine/maritime spatial planning (MSP) proves to be an important means to achieve global ocean governance goals and the 2030 Agenda for Sustainable Development. Over the course of three years, the MSPglobal initiative will contribute to improving cross-border and transboundary cooperation where it already exists and promoting MSP processes in areas where it is yet to be put in place, with the objective to triple the marine area benefiting from MSP effectively implemented by 2030. Perform a pilot regional project in the Southeast Pacific with a specific cross-border exercise at the historical Bay of Guayaquil (Ecuador/Peru) and training activities benefiting Chile, Colombia, Ecuador, Panama and Peru. MSPglobal will provide the context for active and effective participation of policy-makers, scientists, citizens and other stakeholders to improve governance at multiple levels and achieve an ecosystem-based approach in support of the blue economy. 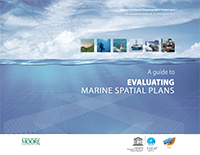 It is designed to support the implementation of the Joint Roadmap to accelerate marine/maritime spatial planning processes worldwide, adopted by the European Commission's Directorate-General for Maritime Affairs and Fisheries (DG MARE) and the IOC-UNESCO as part of the conclusions of the 2nd International Conference on MSP, jointly organized in Paris in March 2017. The contents of this website are the sole responsibility of the IOC-UNESCO and do not necessarily reflect the views of the European Union.